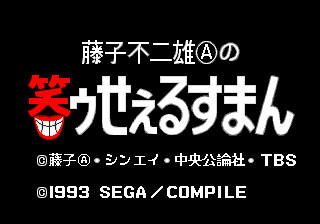 Warau Salesman (笑ゥせぇるすまん) is a 1993 point-and-click adventure game by Compile and Sega for the Sega Mega-CD tying into a media series by Fujiko Fujio Ⓐ (which Compile had the license to make games of). It has not been released outside Japan. Main article: Warau Salesman/Magazine articles.